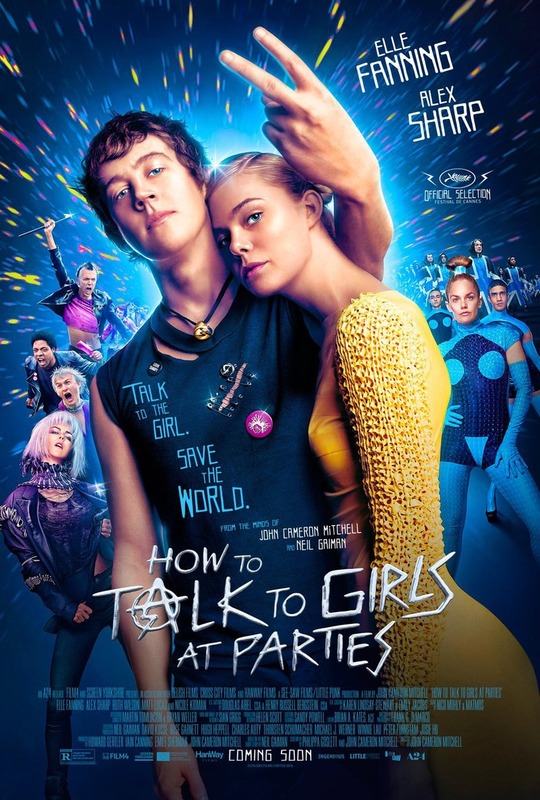 How to Talk to Girls at Parties DVD and Blu-ray release date was set for August 14, 2018 and available on Digital HD from Amazon Video and iTunes on June 5, 2018. London in the 1970s finds most suburban teens yearning to be punk rockers and Enn is no exception. When crashing a party thrown by Queen Boadicea, Enn discovers what he first thinks are foreign exchange students. Before the party is over, though, he discovers that they have traveled much farther. They are aliens from another galaxy that have come to Earth in order to fulfill a rite of passage with a dark twist. Enn, who has fallen for one of the girls, must put a stop to it in order to save the alien he has fallen for.